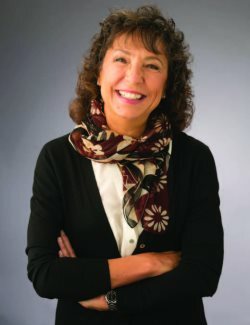 Elizabeth LaScala, PhD personally guides each student through each step of selecting and applying to well-matched schools for undergraduate and graduate school study. Over the past two decades, Elizabeth has placed hundreds of students in some of the most prestigious colleges and universities in the U.S. The number of clients taken is limited to ensure each applicant has personalized attention. Contact Elizabeth early in the process to make a difference in your outcomes. Write elizabeth@doingcollege.com; Visit www.doingcollege.com; or Call: 925.385.0562. 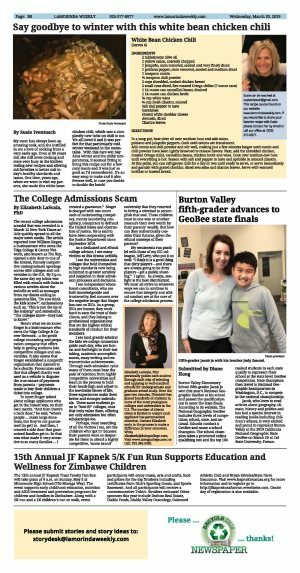 The recent college admissions scandal that was revealed in a March 12 New York Times article quickly spread to all the major news media. The article reported how William Singer, a businessman who owns the Edge College & Career Network, also known as The Key, opened a side door to one of the limited, fiercely competitive undergraduate openings across elite colleges and universities in the U.S. By 3 p.m. the same day my inbox was filled with emails with links to various articles about the swindle as well as messages from my clients ending in questions like, "Do you think the kids knew? ", exclamations such as, "This is just the tip of the iceberg!" and statements, "The colleges knew-they had to know." Here's what we do know: Singer is a businessman who owns the Edge College & Career Network - a for-profit college counseling and preparation company that offers help in getting students into competitive colleges and universities. It also seems that Singer established a nonprofit organization that claimed to be a charity. Prosecutors said that this alleged charity was used as a vehicle to disguise the true nature of payments from parents - payments made to buy their children a ticket into college. In court Singer talked about college applicants who get in the honest way, on their own merits. "And then there's a back door," he said, "where people . make large donations, but they're not guaranteed [to get] in. And then, I created a side door that guaranteed families get in. So that was what made it very attractive to so many families . I created a guarantee." Singer is charged with one count each of racketeering conspiracy, money laundering conspiracy, conspiracy to defraud the United States and obstruction of justice. He is said to have been cooperating with the Justice Department since September 2018. As a dedicated and ethical college advisor, I see many victims as this drama unfolds. I see the universities and colleges that hold themselves to high standards now being subjected to greater scrutiny and suspicion in their admission processes and decisions. I see independent educational consultants, who are both knowledgeable and trustworthy, feel concern over the negative image that Singer has cast on IECs. As a group, IECs are honest; they work hard to earn the trust of their clients, and they belong to professional organizations that set the highest ethical standards of conduct for their members. I see (and greatly admire) the kids we college counselors guide each day, who are honest and forthright in their test taking, academic accomplishments, essay writing and extracurricular achievements. Through each admission cycle many of them must bear the pain of rejection from highly competitive universities and learn in the process to hold their heads high and adjust to the inevitable blows of life; these experiences make them better and stronger individuals. These same students go on to "best fit" colleges, ones that truly value them, offering not only admission but often scholarships too. Perhaps, most unsettling of all the victims I see, are the children who `got in' because their parents were so desperate for them to attend a highly competitive, `name brand' university that they resorted to hiring a criminal to accomplish that end. These children must in one way or another measure their own worth by their parents' wealth. But how can they authentically consider their futures, given the ethical missteps of their parents? My sentiments run parallel with those of my IEC colleague, Jeff Levy, who put it so well: "I think it is a good thing that dirty players - and there are always going to be dirty players - get a public shaming." I agree. As always, sunlight is the best disinfectant. We must all strive in whatever ways we can to continue to ensure that integrity and ethical conduct are at the core of the college admission process.